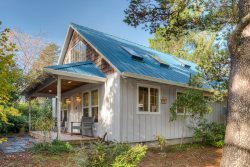 Explore a variety of beautiful Oregon Coast vacation rentals in and around Manzanita, all perfect for your next vacation! From oceanfront properties to pet-friendly accommodations we have whatever you need to make your trip perfect. Be sure to check individual property amenities and features as each rental is unique in layout, decor, and furnishings. For assistance finding the property for your group contact our office, we are happy to help you book the rental of your dreams!